Collecting candy like the Power Rangers? Now, that's not a bad idea at all! We're sure your kiddo will be all about it. And, if he or she is thinking about which particular Ranger they'd like to emulate, well, we'd suggest starting with the Red Ranger! That's right, whether piloting the T-Rex Zord to save the day against villains or just being a good pal to his fellow Power Rangers, the Red Ranger is definitely one to look up to. So, let's get your kiddo ready for the fun with this Power Ranger Plastic Trick or Treat Bucket! When your kid has a ton of Power Rangers fun in mind we can help them complete the mission objective by getting them this treat bucket. 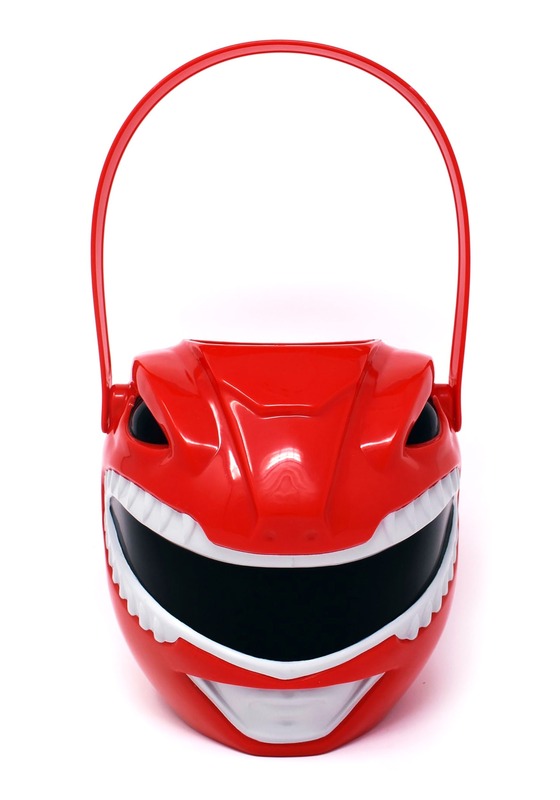 They're going to love going 'round the neighborhood in Mighty Morphin' Power Rangers costume and they'll be able to collect a mighty sized stash of candy when they use this treat bucket. It's officially licensed and molded to look just like the Red Ranger's helmet. Be sure to check out our entire Power Rangers category to get everything else you need for a great Halloween!